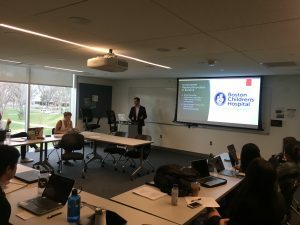 Following our return from Boston, the EC 348 innovation pals were on FIRE today as we delivered our final innovation pitches. To echo the sentiment of our very own Jordan Stern, all of our presentations were so flipping, tipping, whipping GOOD! Every single person’s presentation was so creative, thoughtful, and engaging to THE MAX! Plus, our presentation skills were so collectively on point! It was such an EXCITING affair! You could smell the awesomeness in the air! 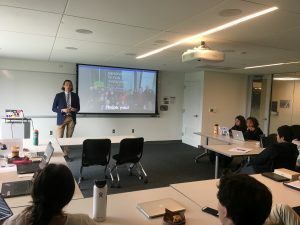 Our presentations ranged from Andrew’s proposal to eliminate microaggressions in the classroom using AI — to Gabe’s idea to incorporate innovation into the CC general education requirements — to Bryna’s idea to make Colorado Springs more innovative by refurbishing the Drake Power Plant into a start-up incubator and co-working space. The good ideas just kept on flowin’! 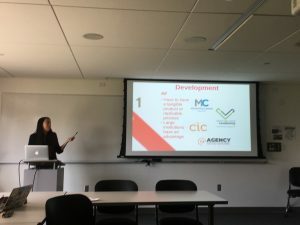 Solomon then proposed his idea to incentivize CC seniors to create collaborative and interdisciplinary thesis projects, and right afterward Rui pitched her idea for a summer leadership intensive to foster entrepreneurial empowerment among women in rural China. I absolutely loved hearing about the wide range of topics in which my classmates are passionate, which made today (and the entire block) that much more interesting! Furthermore, I could not have asked for better classmates or a more Dan-tastic professor! The culture of kindness, vulnerability, and laughter that the EC 348 Innovation Pals created over the last 3.5 weeks is something truly special and not to be forgotten! This has been my favorite class at CC! Ali (me! )’19, Bryna ’19, Gabe ’19, Amy ’19, Emily ’19, Ben ’21, Rui ’21, Risa ’19, Molly ’19, Solomon ’19, Johannes ’19, Andrew ’19, Annie ’19, Jordan ’19, Dandolva ’20, and Professor Danada Johnson! 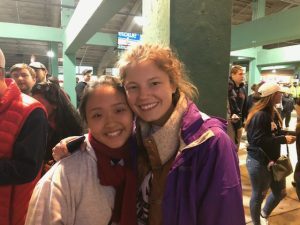 Boston Day 5: CC Alums are SUPERSTARS! Holy smokes, Boston folks! The EC 348 pals have made it to our FINAL day in Boston and like EVERY SINGLE MOMENT of this trip, it was INCREDIBLE! 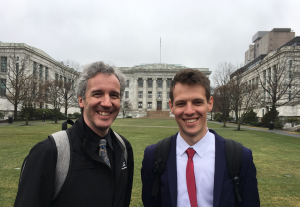 We started the day off strong with an exciting visit to Harvard to meet with CC alumnus and Dean of Continuing Education and Extension, Hunt Lambert. To say the least, we were dazzled by Hunt. I could not scribble fast enough to keep up with all of his accomplishments, business ventures, and entrepreneurial advice. He has started over 25 companies and sold his first company to the CIA because it successfully predicted the behavior of world leaders! (That CIA tidbit was a real stand-out; it came up in the first five minutes and then I was too dazzled to keep up with the rest). I did eventually retrieve my jaw from the floor of Hunt’s office and we continued on with our day! We did a quick skip and caboodle on down to Harvard Business School to meet with CC alumna, Lara Gund, of the HBS Office of Admissions. 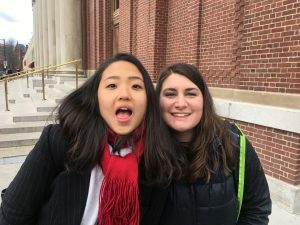 It must be known that Lara is a STAR and has been working to support female representation at HBS, as well as leadership development initiatives for women! Go Lara! Fun fact about Lara: She played club ice hockey at CC and just celebrated her 50th birthday with friends from CC! 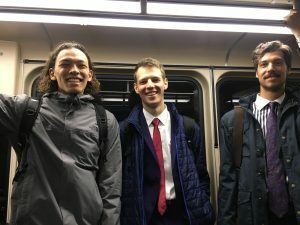 Then, when I thought things couldn’t get any more exciting and friendshippy … another CC alumnus and current HBS student, Sam Vallely, walked in with three of his classmate pals: Garrett, John, and Taylor! They talked about their entrepreneurial projects at Harvard’s iLab and let me just say, they were absolutely INCREDIBLE! — so much so that I had to re-retrieve my jaw from the floor of the Harvard grounds once again! Through all the excitement of the day, we even managed to grab lunch in Harvard Square with yet another STAR-STUDDED CC alumna, Leslie Brunner! 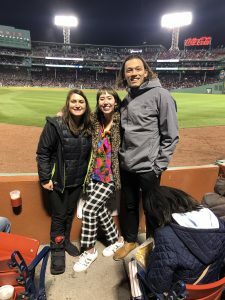 Leslie is the Chief People Officer at DevotedHealth and also the most dynamic, bubbly, and engaging person in all of Boston. I was STAR-STRUCK as she shared how her company is revolutionizing how our aging population receives health care in a more person-centric, efficient, and affordable manner. Go Leslie! … And finally, Go Red Sox! 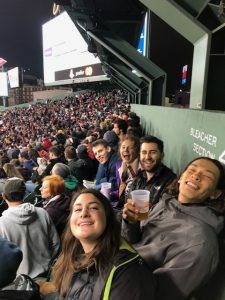 For our final class extravaganza of the field trip, we enjoyed a popcorn-filled, soft-pretzel-filled, nacho-filled, hot dog-filled, and FRIENDSHIP-filled baseball game all together at Fenway Park! 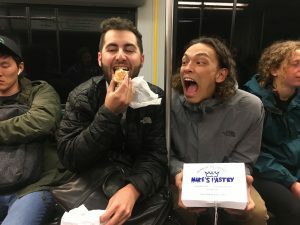 The EC 348 pals LOVE snacks … but even more, we LOVE Boston and we LOVED this entire experience! 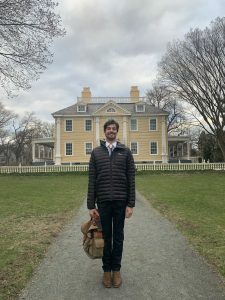 Thank you to Professor Dan from Canada (Danada) for organizing the most valuable, most action-packed, most fully whelming field trip of all time! 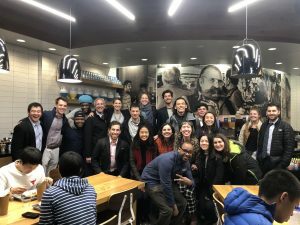 And thank you to all of the incredible alums, entrepreneurs, and Boston companies who took the time to host us, engage with our questions, and provide invaluable insight into the world of innovation! 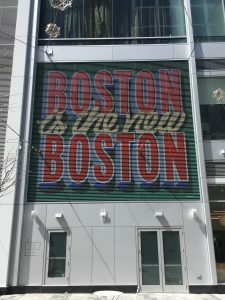 Boston Day 4: It’s All About The Boot! 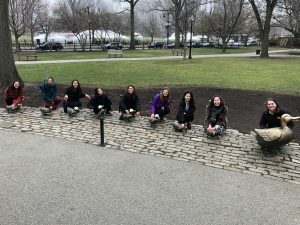 I dedicate Day 4’s blog to Molly “The Boot” Gillis, one of our dearest EC 348 class pals who broke her foot just ONE day prior to the start of this field trip. 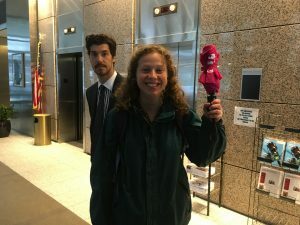 It should be known to our readership that Molly has been walking the streets of Boston, 14 hours a day for four days straight with the assistance of her trusty medical walking boot. May god bless Molly, and god bless The Boot. We love you Molly, and we love you, The Boot. 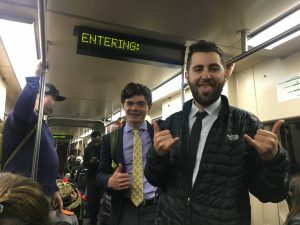 Just when we thought our Boston adventures couldn’t get any better, the EC 348 pals were shocked silly with yet another bootiful Bostonian day! We started off strong with an early morning visit to LevelUp, a mobile ordering and customer engagement platform for restaurants! Basically, they build apps so we can all order our food faster! And yours truly nearly lost her salad loving marbles upon finding out that sweetgreen was one of their first customers! That’s right folks, SWEETGREEN! 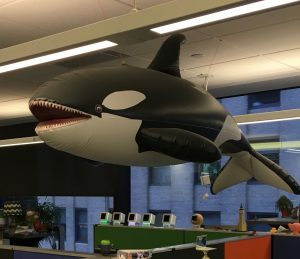 And everything about LevelUp was super flipping cool — the Lego walls, the inflatable whales hanging from the ceiling, the engineering team holding their daily standup! That place was oozing with creativity, warmth, and community. But the most flipping cool aspect of the tour was meeting with Business Operations Director, Kevin Alexanderson. 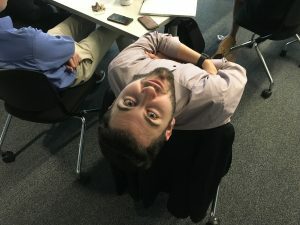 That thing people do in open workspaces where they prop themselves up and nose around in all directions, looking at what everyone else is doing, but fail to actually accomplish any of their own work. I’m so glad I now have a word to describe my study habits of the last 11 years. Thank you, Kevin. 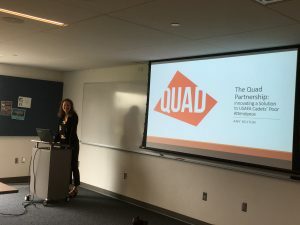 But prairiedogging also extends to a larger conversation about the role of spatial design in driving innovation, which was certainly a theme of the day! 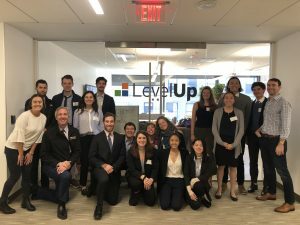 After spending the morning at LevelUp, we skipped and kaboodled (except for Molly “The Boot” Gillis — she walked) down to the Cambridge Innovation Center, a co-working space for over 600 start-ups in Boston, as well as home to the Venture Café — a networking space for entrepreneurs. There, the EC 348 pals got the opportunity to try our hand at networking and I was fortunate enough to speak with a very supportive R&D manager for the running brand, ASICS. 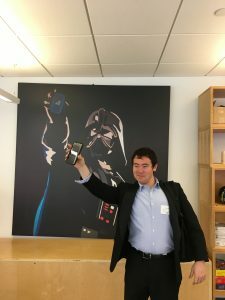 Like a real professional dork, I told him all about my high school cross countrying and he taught me how larger companies like his build partnerships with up and coming start-ups in the footwear technology space! Speaking of footwear technology, how can we not talk about The Boot again? The Boot, Molly, and Professor Dan from Canada helped end our day by leading us to a yummy dinner at Saloniki Greek! 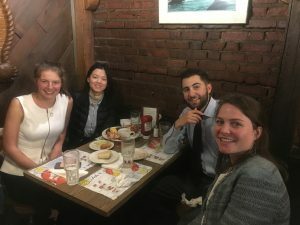 Not only did we get some tasty gyros, but we also met up with CC alumna, Eve Aguilar, and heard about her career working as a lawyer in the Office of the General Counsel at Harvard! Go Eve! The thoughtful, inspiring, and exciting conversations that we’ve had with alums (like Eve!) in Boston have certainly been the highlight of this trip! And we are so incredibly thankful to them for their kindness and their time! Stay tuned for our FINAL Day in Boston (so sad!) In the meantime, check out our beautiful group pics! I love our class pals so much! 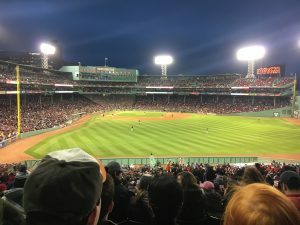 Boston Day 3: Yet Another Jam-packed, Clam-packed, Dan-packed Day! 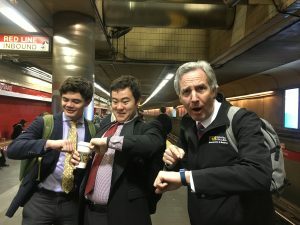 A cheery, Wednesday, Bostonian HELLO from the EC 348 innovation pals! I am once again pleased to report that we had yet another jam-packed, clam-packed, Dan-packed day! (Fun Fact of the Day: We have not one, but TWO Dan’s in this class: Professor Dan from Canada and Student Dan from Moldova). That is the only way we tell them apart. Be sure to check out their “Dan Photo” below … and Go Dan’s! 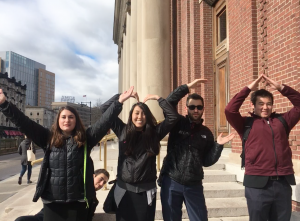 Led by Professor Dan from Canada, we began the day with a tour of the Boston Public Library before making our way to Symphony Hall … and that’s where we spotted the very FIRST YMCA chapter! So naturally we did the YMCA dance and eventually took the classic YMCA picture (see below!). 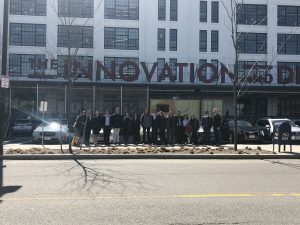 In addition to our YMCAing, we had the incredible opportunity to tour MassChallenge, an entrepreneurial accelerator and innovation hub in the Seaport District. 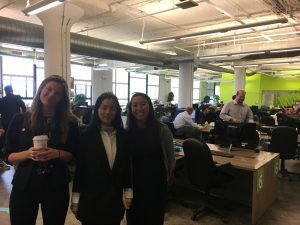 There, we met with three inspiring entrepreneurs who have catapulted their ideas into sustainable and socially impactful businesses: Kristin van Busum of Project Alianza, Will Nitze of IQ Bar, and Pat Hubbell of Candorful. 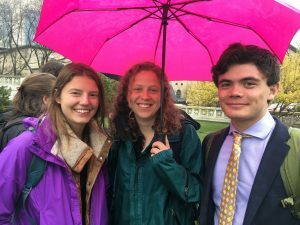 Though I LOVED meeting with all three of them (and strongly encourage you to give those links a cool quick click! ), I especially appreciated our Q&A with Pat because she challenged my view of who an entrepreneur is. When I think ‘start-up vibes,’ I picture a young, lanky, hoodie-clad, college drop-out-type dude with a bike lock poking through his heavily worn messenger bag. Instead, Pat is an ex-management consultant, turned stay-at-home-mom, turned College Career Counselor, turned social activist and entrepreneur. Her organization, Candorful, virtually connects veterans with interview prep services in order to prime them for successful job interviews in the civilian sector. Pat’s story is one of resilience and persistence to regain her confidence and sense of place after returning to the workforce later in life. For me, Pat’s success highlights the notion that innovation is truly for everyone, and moreover, a large part of innovation seems to be about building the confidence, brazenness, and gusto to put yourself and your ideas out on the line — which is exactly what we will be doing on fourth week when we present our final projects for this class to all of you! More details to come! … And as always, stay tuned for our adventures tomorrow! 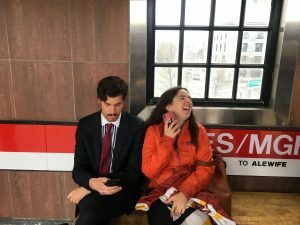 Boston Day 2: Ducklings and Defense Contractors! 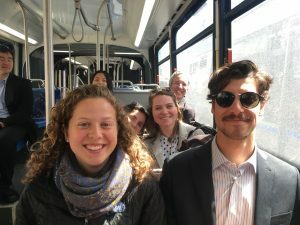 I am super pleased to report that the EC 348 Innovation Class is on a roll — a stuffed lobster roll that is — of good times, hearty laughs, and skillfully navigating public transportation as a mighty group of 17! 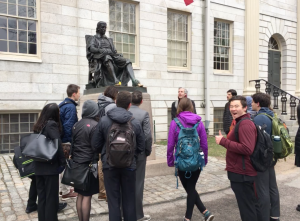 We began our day with another superb Professor Johnson-led history tour of the city, with exciting stops at the Massachusetts State House, Harvard Yard, and the Boston Public Garden. We even got to stop and chat with the famous statue ducklings from Make Way for Ducklings! All the duckies had crocheted hats on their cute little duck heads, which made for the BEST photo of the day! Following our meet ‘n greet with the ducklings, we got down to business, beginning with a visit to BBN Raytheon and a meeting with President Ed Campbell. From Mr. Campbell, we learned about the importance of investing in people, culture, and fun in order to drive mission-founded innovation. 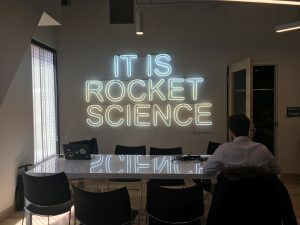 We got the message that people are everything to a company like Raytheon, which is heavily reliant upon the symbiotic relationship among its scientists, researchers, and business leaders in order to create cutting edge defense technologies. As someone super psyched to enter the field of Human Resources (big YAY for HR! ), I was really excited to hear about Raytheon’s strategic and benevolent commitment to its people, their continued education, and their long-term career development. To be completely honest, I did not expect to learn so much about HR from a defense contracting firm, but I most certainly did, and I even got an official security clearance badge to do so (double YAY!). 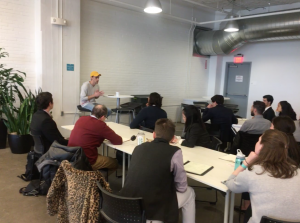 Following our visit to BBN Raytheon, we skadoodled on down to General Assembly Boston, a private education start-up that teaches practical technology skills to entrepreneurs and business professionals. What was most striking about our visit to General Assembly was the energy and passion of the office. 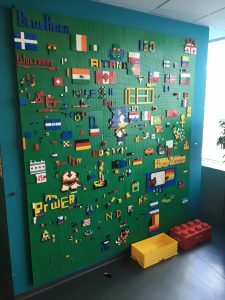 There were people working and chatting in the common area; board games and coloring books scattered atop the tables; and chalkboard walls colored in with life-size sketches of famous innovators throughout history! 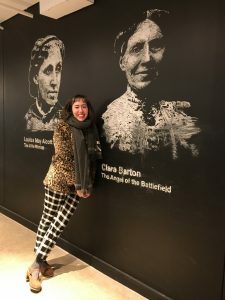 I personally got to reunite with my third grade hero, Clara Barton, and we shared a sweet, must-see pic below! You may know Clara as “The Angel of the Battlefield,” BUT for your Patent Fun Fact of the Day, it may behoove you to know that Clara Barton is also considered by many, many, many people to be the Angel of the U.S. Patent Office as well. That is right, folks. Humanitarian Red Cross founder Clarissa “Clara” Harlowe Barton was ALSO a recording clerk at the U.S. Patent Office in Washington D.C., the FIRST woman to hold such a position. Try to hold on to your socks because I know just how mindblown I was upon this discovery earlier this afternoon … how patently exciting! 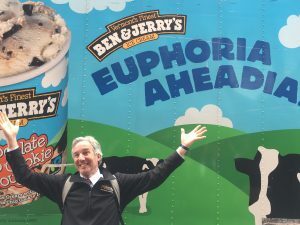 The most important thing I learned today is that patent excitement is everywhere! 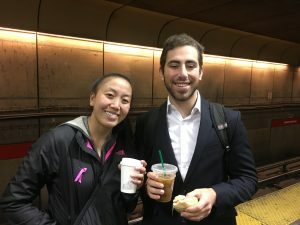 And not to conclude this post without the mention of food, we were fortunate enough to lunch with Vice President of Solutions at Hospital IQ, Mr. Ben Resner, as well as enjoy a prime lobster roll dinner with Entrepreneur and Women’s Health Activist, Ms. Kit Maloney. 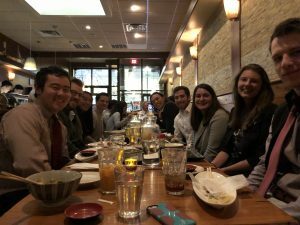 Not only did we stuff our faces with lobster bits, but we were also inspired by these innovative leaders’ commitment to driving social change at the intersection of passion and technology. 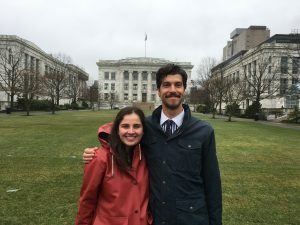 As we look forward — How might we do the same? Stay tuned for Day 3’s adventures! You won’t want to miss out on any pertinent patent fun facts! P.S. 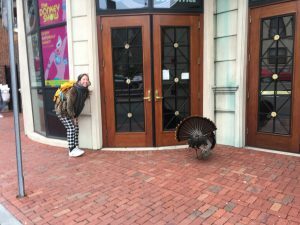 We saw a turkey roaming the streets of Boston today, so look out below for my pic with the turkey pal! P.P.S. 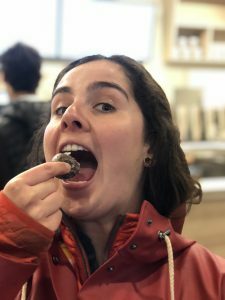 Our very own Bryna Coyle ate an afternoon munchkin, and looked great doing so! Boston Day 1: A Foil Swan Full of Fun! Happy greetings from Boston! 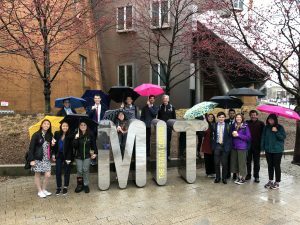 Our first day touring the legendary Beantown was a wet, slushy affair; but our umbrellas were bright and our group spirit shined even BRIGHTER! 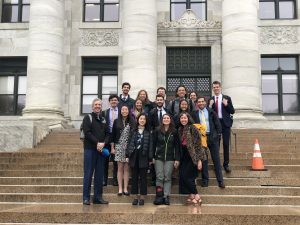 As a shining, smiling pack, we began the morning with an exceptional Professor Johnson-led tour of MIT, stopping specifically to see the Isaac Newton apple tree (yum!) and the Stata Center for Computer, Information, and Intelligence Studies (ooohhh!). 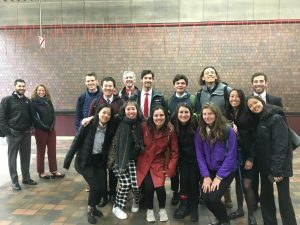 But the MIT fun did not end there, as we were fortunate enough to hear from Physics Professor Dave Kaiser on the political, social, and economic forces that shaped Einstein’s theory of relativity! This was my very first physics lecture and it was also my very favorite physics lecture! Did you know that Albert Einstein was not as reclusive as we might think, but was instead a socially and politically active radical? A truly well-rounded theoretical physicist! My favorite theoretical physicist! 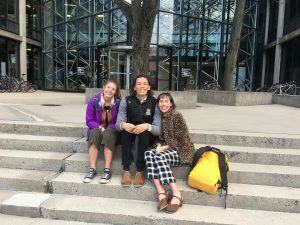 Following our physics fun, we did a quick change into our walking shoes and skedaddled on over to Harvard to meet with our favorite rheumatologist and Professor of Medicine at Harvard Medical School, Victor Hsu! He spoke to us about his pioneering research in cancer biology, shedding critical insight on the patent process (yay patents! ), the role of collaboration in academia, and the funding structure of medical innovation, which was incredibly enlightening! 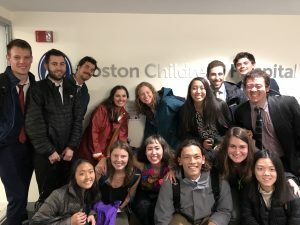 Our lunch with Dr. Hsu additionally served as the perfect springboard into our conversation with CC alumna, Devin Nadar, who is now a Senior Manager of Innovation and Digital Health at Boston Children’s Hospital. Devin shared some of her amazing work developing and managing the latest healthcare technology designed to improve patient experience such as — an app that matches you with a nutritionist in your area; software that helps aid in earlier diagnoses of dyslexia in children; and a program that categorizes the urgency of nurse call requests for better efficiency. It was really inspiring to see how Devin is absolutely killing it as a CC alumna in innovation. And not only that — she genuinely cares about helping us secure jobs and plan for the next stage of our post-CC careers. 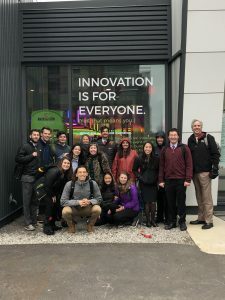 Super Cool Dan Johnson Innovation Class Fun Fact: Devin actually secured her current job through THIS class when she was on THIS field trip during her senior year! How exciting … and promising for us! With all of our business meetings done by the late afternoon, we concluded that no day would be complete without some truly dank Italian food in the Old North End at a restaurant chosen by our very own Risa Seu! (Go Risa!) 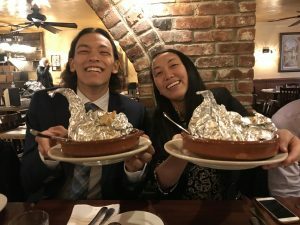 I personally went for the pan-seared salmon, but Johannes and Annie went full-in on the clam-based pasta dish that came wrapped in foil shaped like a swan. Dan also ordered the same dish, but his did not come in swan foil form, which was disheartening to say the least — as those foil swans were truly elegant. 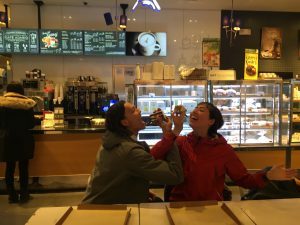 Ultimately, our first day of Boston adventuring was as delightful as a foil swan full of clams — daring, unexpected, and thrilling! Can’t wait to see what excitement Day 2 will bring us! Stay tuned! The Big Test Before Our Innovation Quest! On the Block Plan, final exams usually fall to fourth week, but since we’re leaving for Boston on Sunday, we did something a little different and took our final exam today! Me and a few other classmates were a tiny bit jittery before the test, but with the promise of Boston (and CHOWDER!) looming in the foreground, we absolutely killed it … fingers crossed! Just in case you’re feeling sad that you couldn’t join us for the test, let me fill you in! It was three hours long with six short answer essays and three quick-question responses at the end. 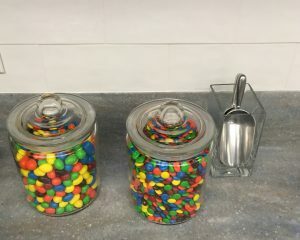 Halfway through the exam, Professor Johnson walked in with candy for everyone, which was certainly the sweet point of the morning! Though each professor has slightly different testing guidelines (and candy distribution tendencies), all exams on our campus are alike in that we always promise to uphold the Colorado College Honor Code. This means that we abide by the values of honesty, integrity, and fairness in all facets of our academic experience — when we’re taking tests, writing research papers, completing problem sets, and participating in class discussions. 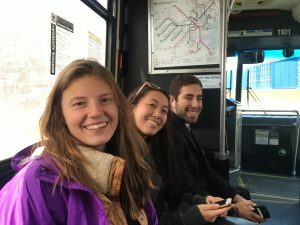 Colorado College is incredibly unique in that we have an entirely student-run Honor Council (which I am a proud member!) responsible for cultivating an academic environment of trust and collaboration among students and professors. Because we, as a community, hold ourselves to high standards of academic integrity, there are some really sweet perks! For one, our tests are never proctored. Some professors will require that we take exams in the classroom, but I’ve also taken midterms in my hammock! This flexibility does wonders for easing test anxiety. Additionally, the Honor Code builds camaraderie in the classroom. There’s a mutual understanding that we can all study for exams as a group, as well as share research and ideas for our final Innovation Projects, but we will turn in our own honest work in the end. 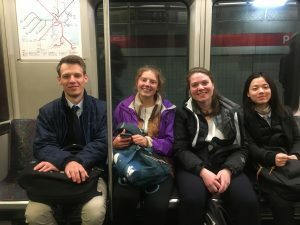 As such, the classroom community that we have built in this class is truly special and will undoubtedly grow stronger throughout our time in Boston! Stay tuned for our Boston adventures! I can hardly wait! 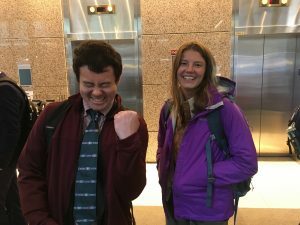 We’re leaving for our Boston field trip in just three days, and we couldn’t be more excited! 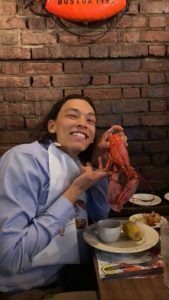 The networking, the company visits, the historical tours, and the CHOWDER all await! 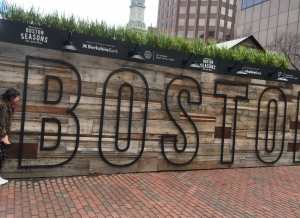 In addition to a plentiful supply of chowder, Boston will also provide the perfect locale for us to conduct research for our final innovation projects! I have an idea to solve the US Patent and Trademark Office (USPTO) patent backlog. I have an idea to promote innovation in the global south. I have an idea to improve anti-racist initiatives at Colorado College. What aspect of our topic’s problem do we want to address? How is this issue addressed in other industries? What is the most absurd, outrageous, unprecedented, and out of the box approach to this problem? The best idea that my classmates came up with for my topic was: Dogs as Patent Officers! Perhaps Puppy Patent Officers are not the most feasible solution to the USPTO patent backlog, but they are a perfect place to start thinking about our projects through an unconventional and innovative lens — which is what this class is all about! Plus, when we’re in Boston, we will have the incredible opportunity to ask industry professionals all sorts of questions relating to our topics! What is a typical patent pendency period for a healthcare start-up and how does that wait time affect business strategy, as well as the quality and affordability of client services? Not quite sure, but I can’t wait to find out! Patents, Puppies, and Professionalism: Welcome to Economics of Innovation! 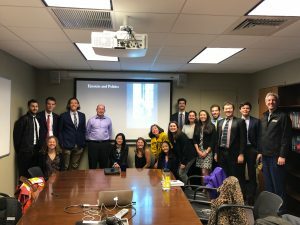 Hi, my name is Ali and I’m a senior Economics major and REMS minor … and I’m super thrilled to blog about our UBER COOL seventh block class, The Economics of Innovation, taught by Professor Dan Johnson! 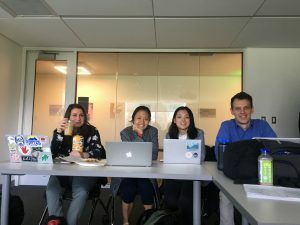 For the first half of the class, we’ve been digging in deep on the literature, theory, and policy implications of innovation — exploring topics such as funding, environmental impact, and intellectual property rights. We’ve studied just over 60 articles (woo hoo!) on innovation and I’m super pleased to report that I am a proud patent dork. Who would have thought that learning about IP law, and specifically about patents would be so enthralling? But after our first night of reading about patents, I was smitten. You got your utility patents, your design patents, your plant patents … and then you have a whole web of intricacies surrounding software patents! A really awesome patent fun fact, courtesy of Professor Johnson, is that there is a patented watch for dogs, which displays time in dog years by multiplying every human minute times seven! Not to get distracted by puppies telling time, we have been engaging in really valuable class discussions this past week and a half — challenging each other’s and our own perspectives on regulatory oversight, privacy, and the ethics of new technology. This has all been in preparation for our field trip to Boston next week (April 8-12). There, we will meet with innovative leaders in healthcare, defense, technology, education, finance, and culinary arts (specifically, the art of cookie-baking!). I’m VERY excited for that last one! 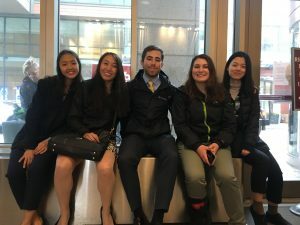 Not only will our field trip allow us to ask questions of industry leaders and hear first-hand what it’s like to work in the innovation realm, but it will also allow us the opportunity to network with professionals in fields in which we may want to work. I’m most excited about meeting with esteemed CC alums, some of whom have actually taken this same class before! 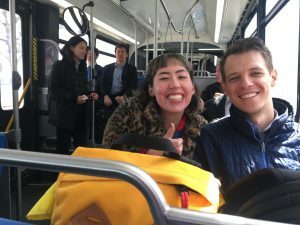 I’ve also never been to Boston before, so I’m super excited to try my first clam chowder alongside some of the kindest and smartest classmates! Stay tuned for our innovative adventures! Coming Up Next: Learn About Our Block-Long Innovation Projects! 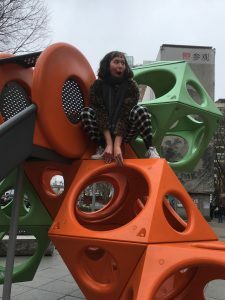 I was hoping to write my first blog post for Ecofeminism on the material that we engage with in the class and how I feel we as students react to it in classroom settings. However, given the events of this past weekend and the dialogue that happened on Monday in the Glass House, I feel as though it’s important to take the material that we have been learning and apply these concepts to real campus life. 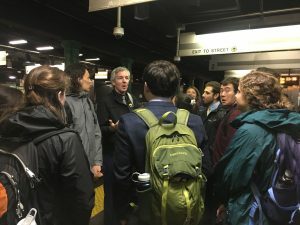 For those of you who don’t know, on Friday night a group of international students of color attempted to enter 122 Weber (commonly referred to as the Hockey House considering a number of hockey players live there), and were not only violated but also humiliated as they were violently prohibited from entering the party. 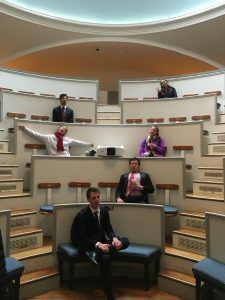 The group composed a letter and published it on the CC Free and For Sale Facebook page, where it caught campus attention. The hockey team and the group of students agreed to meet on Monday for an open dialogue in the Glass House. Having lived in the Glass House myself and having attended a number of events there, I can say I’ve never before seen the quantity of people in the Glass House that I did on that Monday evening. 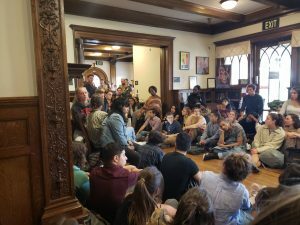 I would estimate that about one hundred students were crowded into the space to listen and participate in the dialogue, which was facilitated by Vice President of Inclusion Cam Mongoven. The dialogue opened with Jacqueline Nkhonjera, one of the students in the group who experienced violence, reading the original letter from the Facebook post. The letter was followed by a reading of a prepared statement from the hockey team. 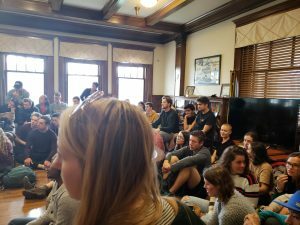 The conversation then opened up into an hour-long dialogue which started with sharing thoughts and experiences with the rest of the group and then transitioned into a space for sharing ideas on how to combat racism in the party scene and on-campus in general. Of course, I immediately thought about the ecofeminists that we’ve been studying in class and what their responses would be to this blatant act of violence and injustice on our campus. I took the question to my class yesterday, who discussed the lack of accountability among hockey players which leads them to deny the racism that permeates their social events. 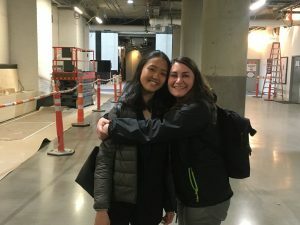 The question we came down to was this: how is it that students of color on campus know that they cannot enter the Hockey House, but the hockey players don’t know that they’re not letting in students of color? Furthermore, how is it that the “solutions” called for more work from students of color, a demand for more training and interaction between hockey students (and white students in general) and students of color when white students don’t show up to campus-wide BSU or SOMOS events? Or attend movie screenings or readings or guest lecturers that address the experiences of people of color living in the United States? Or enroll in classes that tackle equity, racism, and classism in a variety of settings? Even our Ecofeminism class, taught by a male professor, is completely made up of women. We agreed as a class that the resources are obviously available on-campus (such as our Ecofeminism course), but students just aren’t taking advantage of them. 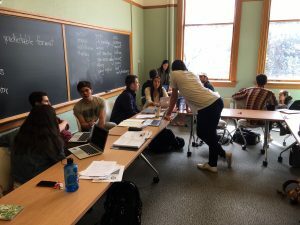 The class and I talked about perceptions of inclusivity in on- and off-campus social events and how ecofeminists would pursue equity through diversity in teaching and learning in higher education. But at the end of the class, we agreed that the dialogue in the Glass House was a good step, but not far enough for an ecofeminist. An ecofeminist would ask: what actions can we take that will create a system of accountability for students who perpetuate racism on this campus? How can we not only create an anti-racist institution that fosters diversity and intersectionality, but also have those values reflected in the micro-levels of the institution, such as in classes and at social events? 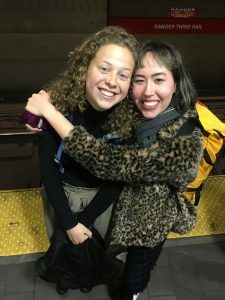 An ecofeminist would demand more not only from the community, but also from the self, reminding us that we are all complacent in the racism on this campus unless we are continually and actively fighting it. May this post remind us that we all carry the events of Friday night, and any other events where students of color have ever felt threatened or unsafe, on our back, and we will carry the responsibility of these events with us around campus until we stop them from happening.